Kathy Ptaszek was our speaker in 2015. She challenged our women: Why settle for a handful of blackberries when you can experience burning bushes – daily encounters with the Living God? Whether writing or speaking, Kathy is passionate about motivating women to cultivate an intimate relationship with God through his Word. I see your struggles. I hear your cries. I care. I will deliver you. My presence goes with you. are motivational and engaging, sprinkled with humor, and filled with practical applications. Kathy challenges her audiences to take charge of creating the life and happiness they dream of. Heat 1 tablespoon olive oil in a non stick skillet. Add red pepper, onion, mushroom stems, garlic and Greek seasoning and saute 5-8 minutes until soft. Add chopped spinach to pan and cook until spinach is wilted and cooked down. Set aside to cool. In a medium bowl, combine sauteed vegetables with panko, feta and parmesan. Preheat oven to 375 degrees. Line up mushroom caps in a baking sheet sprayed with non stick spray. Season mushrooms lightly with salt and pepper. Carefully stuff each mushroom cap with stuffing. Place in oven and cook for approximately 20-25 minutes until mushrooms are browned. Note: depending on size of mushroom caps, you may have leftover stuffing. 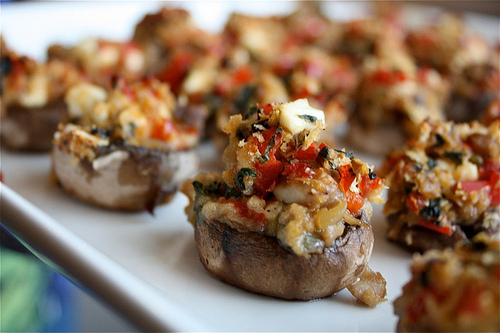 Use your leftover stuffing on larger portabella mushroom caps for a quick weeknight meatless meal. In a small bowl, beat cream cheese and confectioners’ sugar until smooth; fold in whipped topping. Spread over tops of cookies. 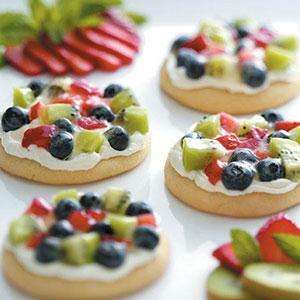 Arrange fruit on top; drizzle with glaze. 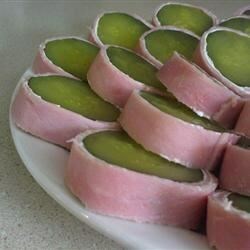 Refrigerate for 1 hour or until chilled. Yield: 1 dozen. Slice bread into 1/3″ thick slices on the diagonal. Note: If your bread is very fresh and soft, you don’t need to brush with butter and bake. My bread was a little more stale so I toasted it and it helped. Place the bread slices side-by-side onto a large baking sheet. Brush the tops with butter. Flip the breads over and brush the other side with butter. I just use long strokes across multiple slices of bread at the same time. Don’t spend too much time on this step; no need for perfection :). Bake at 350˚F for 5 minutes or until edges are just barely starting to turn golden. The breads should still be soft in the center. Lay out all you ingredients on a cutting board. 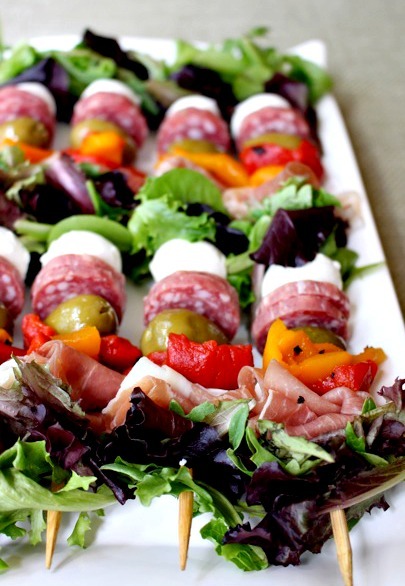 Alternate the ingredients onto the skewers on any pattern you like, adding lettuce leaves after every few ingredients. 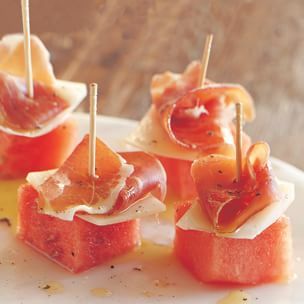 Drizzle with balsamic vinaigrette or serve with dressing for dipping on the side. Preheat the broiler. Line a broiler pan with aluminum foil. Remove any unwanted pieces from crabmeat (most canned crabmeat doesn’t require this step). 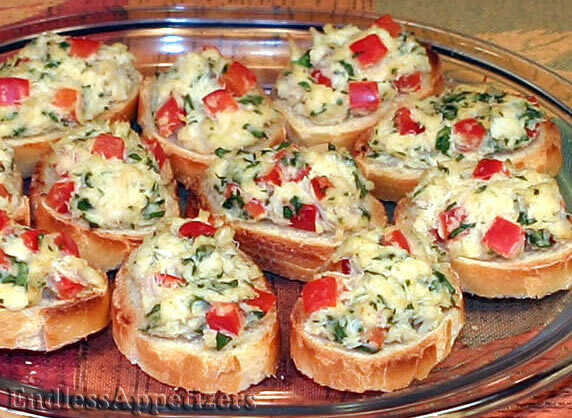 In a medium mixing bowl, combine crabmeat, red bell pepper, mayonnaise, parsley, chives, lime juice, Dijon mustard, Parmesan cheese and hot pepper sauce. Scoop about 1 tablespoon of the crab mixture onto each slice of bread. 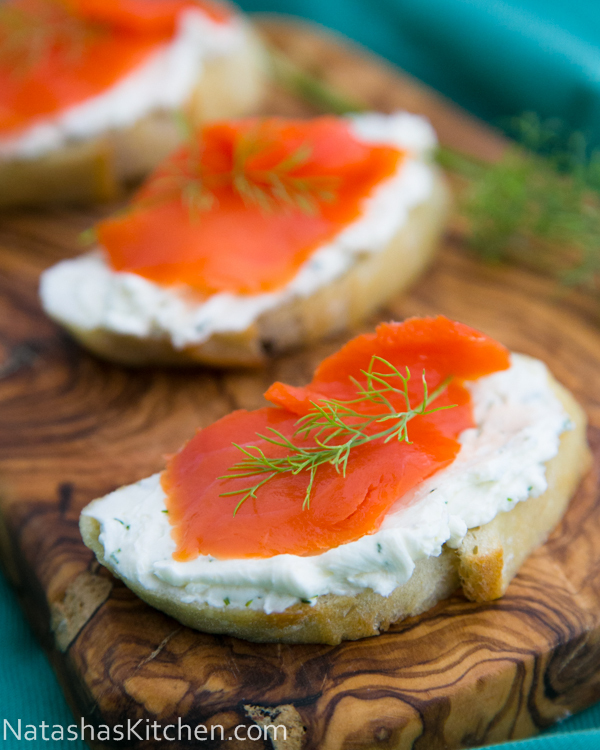 Place the crostini on the broiler pan and broil about 4 inches from the heat for 5-6 minutes or until lightly browned. Pour all of the ingredients into a large bowl and mix well. Sprinkle with salt and pepper, if necessary. 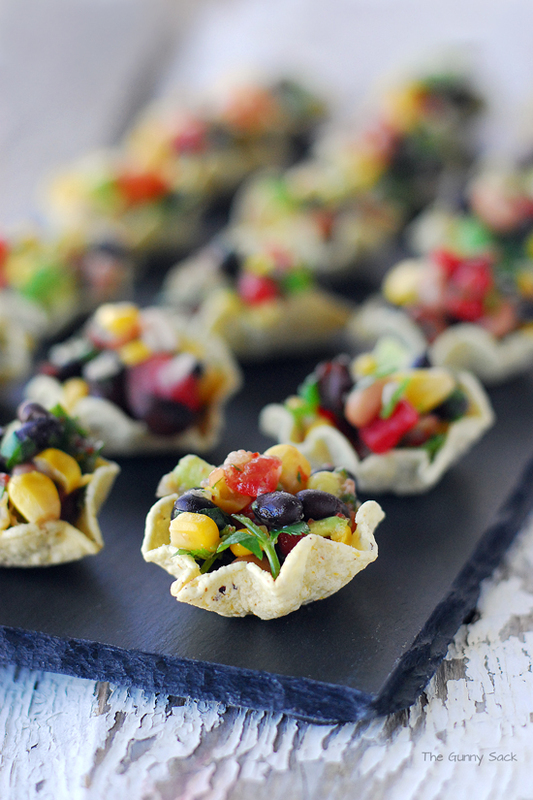 Spoon cowboy caviar into cup shaped tortilla chips and place them on a platter to serve. 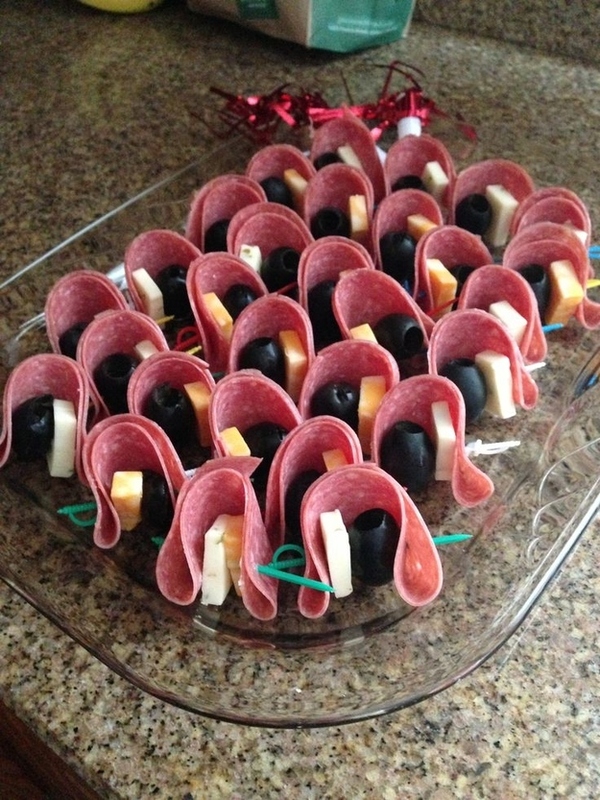 Salami, cheese, and olives. That’s it. 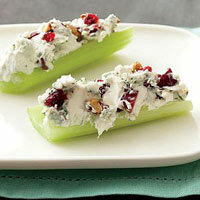 Spread or pat cream cheese around each pickle. Wrap 2 sheets of meat around each pickle. Refrigerate pickles overnight, slice before serving. Combine cheeses, pecans and cranberries. Spread on celery; top with cracked pepper. Let your Angel Food Cake thaw. Once thaw, cube the cake. My cubes were about 1.5 inches x 1.5 inches. Heat vegetable oil on low-medium heat. Fry cubes until golden brown. 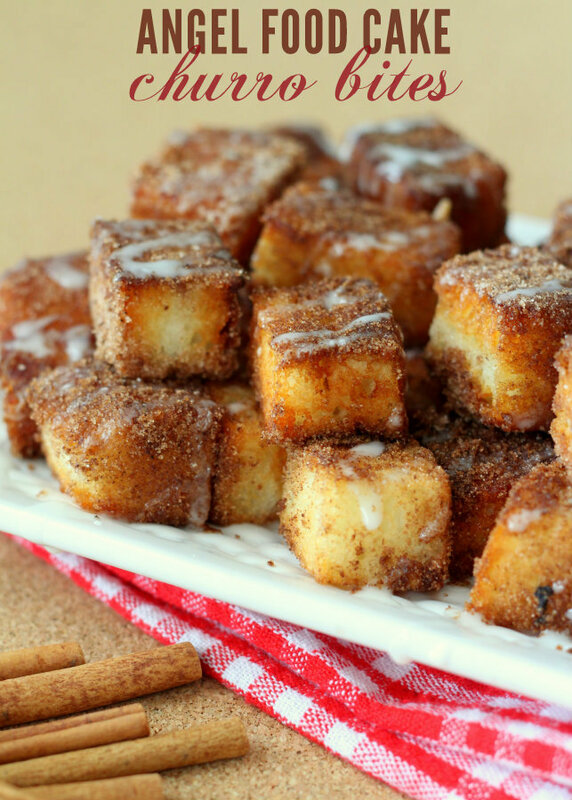 Once golden brown, immediately put them in the bowl with cinnamon and sugar and toss around. Continue doing this until they’re all done. For even more flavor, mix 1 cup powdered sugar with a tablespoon of milk, mix and drizzle over the bites. ENJOY!